Our fracturing system includes fracturing pump, fracturing blender, data van, and support equipment. If you need a well service pump for fracturing or cementing, please visit our well service pumps. 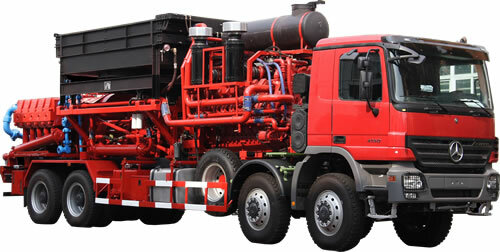 Our 2,500 HP quintuplex well service pumps were specifically design for high pressure fracturing.